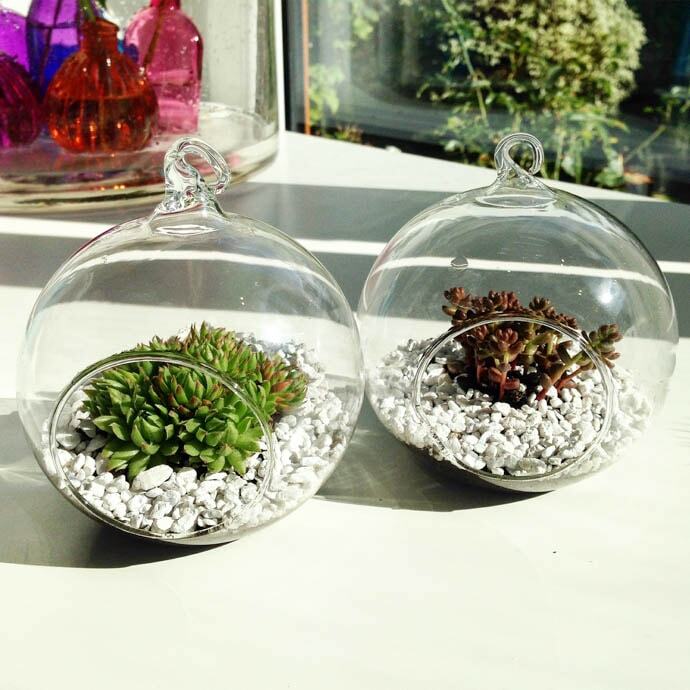 Succulent terrariums are taking over mine and my customers homes this autumn. So versatile and long lasting, they make a perfect gift. 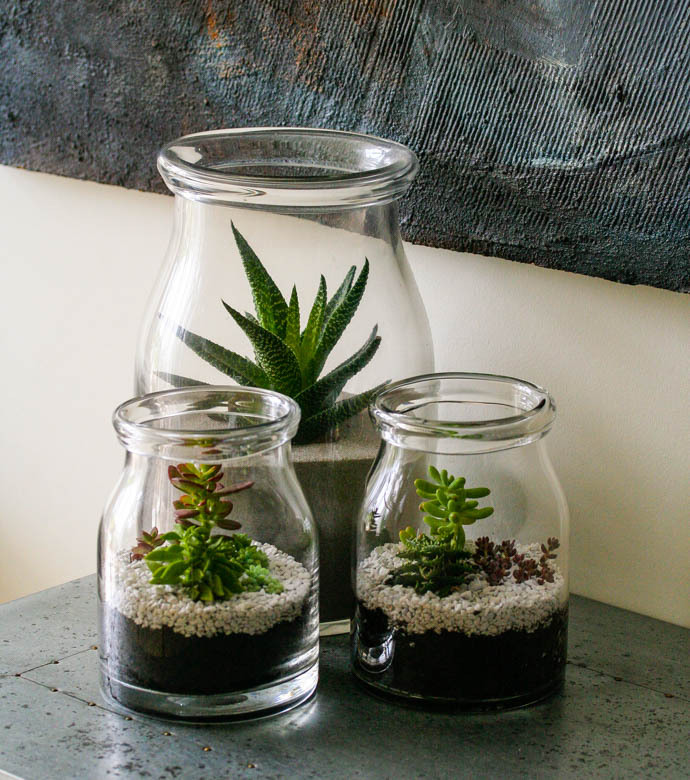 The mini terrariums are out of this world hung, using clear thread, perhaps in a cluster from a shelf or around a window.